A thriving stage poetry scene that also has good international ties has emerged in Germany since the 1990s. The writer Bas Böttcher, one of the co-founders of the German scene in the 1990s, also regards the presentation of a text – the “performance” – as crucial: “Thoughts are conveyed poetically through sound and rhythm.” The result, he believes, is a return to the original idea of poetry being a sound-based construct – and is precisely what in his opinion makes “spoken word” so magical. It is also a hit with audiences: in early 2014, the actress Julia Engelmann landed an entirely unexpected Youtube success: the video of her performance was viewed over nine million times. In One Day/Reckoning Song, a text she half sings and half speaks, she addresses questions that preoccupy many people: How do we use our time? What use do we make of the possibilities which life offers us? 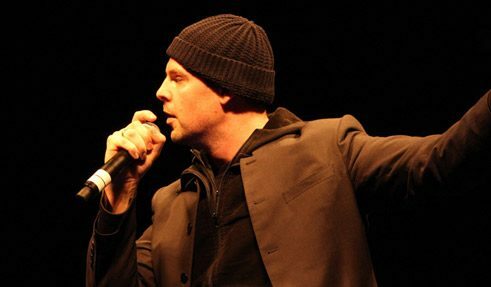 When Bas Böttcher won the first German Poetry Slam Championship in a small Berlin night-club in 1997, the audience numbered 150 people. In the meantime, the number of competitors and followers has grown rapidly – meaning that the poetry performers have moved out of their niche and into the public consciousness. The poetry slam format has become the established frame and presentation format for “spoken word” events: poets compete against one another and at the end the audience picks a winning text. “These days, the championships attract an average of 6,000 spectators”, says Böttcher. In addition, he and his colleagues receive enquiries about television appearances and radio contributions. They cooperate with graphic novelists, musicians and filmmakers. In 2015, Böttcher teamed up with Wolf Hogekamp to publish the Poetry Slam Fibel (i.e. Poetry Slam Guide), a kind of standard work about German-language poetry slamming with texts by 55 authors. The scene is amazingly well-connected, and its structures and artists have become more professional. There are hardly any cities in Germany that do not offer regular poetry slams these days. Consequently, the poetry slammers travel a great deal. Böttcher has appeared at many different venues and knows what he is talking about: “Stage poets spend half their lives on tour.” Apparently, even critics acknowledge the high level of exchange among the artists and their particular audience reach. Unlike for the authors of novels, for whom public readings are merely an additional means of promoting their work, these performances are in fact what Böttcher and the others actually do as a job – even outside Germany. In April 2016, for example, Nora Gomringer will be curating the Festival Poesía en Voz Alta at Casa del Lago, a cultural centre at the Universidad Nacional Autónoma de México in Mexico City. The festival will have a German focus, featuring artists such as Dalibor Marković, Dirk Hülstrunk, the Munka Klangkollektiv and poetry filmmaker Judith Kinitz. What characterizes “spoken word” art from Germany? “The texts are artistic and often humorous, while the focus in other countries is on politics and social criticism”, says Nora Gomringer. Bas Böttcher largely agrees, though he finds that some contemporary works lack depth: “Unfortunately, a marked trend towards comedy texts is evident.” Time and again there are texts where the author clearly felt that the punchline was more important than the content, he laments. Julius Fischer is a good example of how to combine social criticism and humour. In his text Die Einwanderer (i.e. The Immigrants) he explores xenophobia in his home state of Saxony – but he gets his audience laughing, too. Matthias Jügler is a writer who lives in Leipzig.